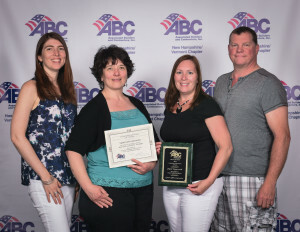 SmartATI Construction is proud to announce that we have recieved the 2016 Associated Builders and Contractors Safety Award! SmartATI Construction has always put safety first, following government requirements for use of the EM-385 safety manual, and complies with all OSHA regulations. However, this year, we have made extra efforts to build a “Proactive Safety Culture” within the company. After reading about how other, much larger businesses have developed a more pre-emptive, top down safety awareness and culture in their organization, we took action! Our goal was to create a company-wide response to safety where each individual could take personal responsibility to promote safety. This culture starts from the top down. SMARTATI’s “Proactive Safety Culture” starts with management, understanding that safety requires constant effort, and that there is always room for improvement. We are always introducing new safety courses and increasing communications about safety. These steps are helping to promote a positive attitude toward safety, and is making safe construction practices a part of our company-wide culture.